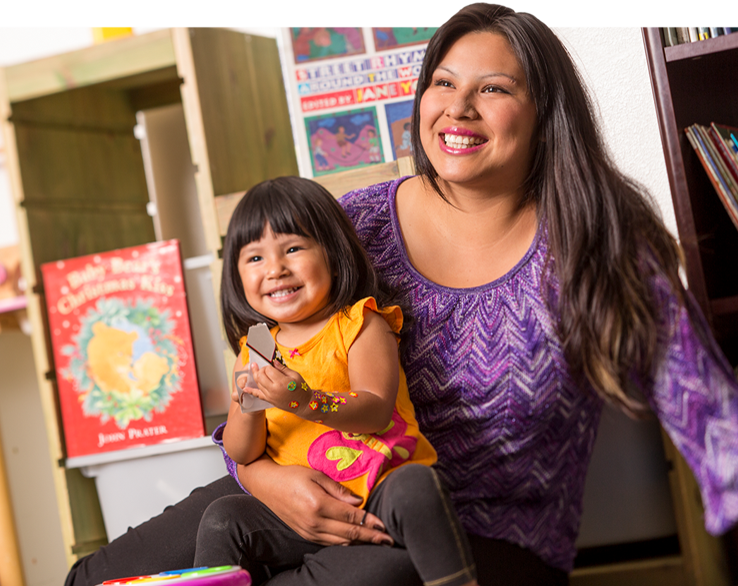 Empowering, inclusive, resourceful — welcome to the Women and Children’s Center of the Sierra. 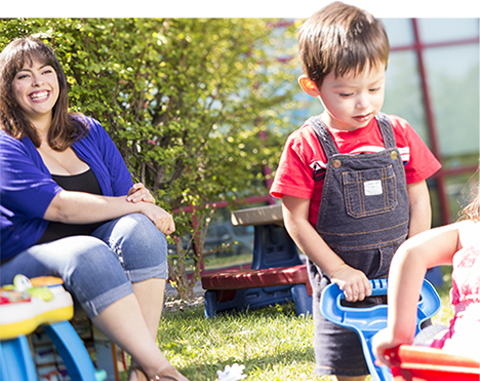 Mission: The Women and Children’s Center of the Sierra helps women escape poverty in order to provide a better life for themselves and their families. For women living in poverty, each day can be a struggle. A struggle to meet their daily needs and those of their children. A struggle to ensure adequate food, housing, clothing, diapers, transportation, or even personal safety. For women in crisis, we are here to help. To help them manage day-to-day needs and to create a path forward, out of poverty. The Women and Children’s Center of the Sierra (WACCS) serves women who are at or below 185% of the poverty level (equivalent to $37,167 for a family of three, or a woman and two kids). Founded in 2008, WACCS is a 501c3 nonprofit with a philosophy to provide women with a hand up, and a way out, not simply a hand out. The women who complete our program are not only employed, they know themselves a little more, they have more experience, and they’re better prepared for the challenges ahead. We meet women where they are in their lives, removing the barriers that may stand in their way of getting help. Without judgement, with few requirements, we provide resources, guidance, support and love. We provide hope and a way forward. 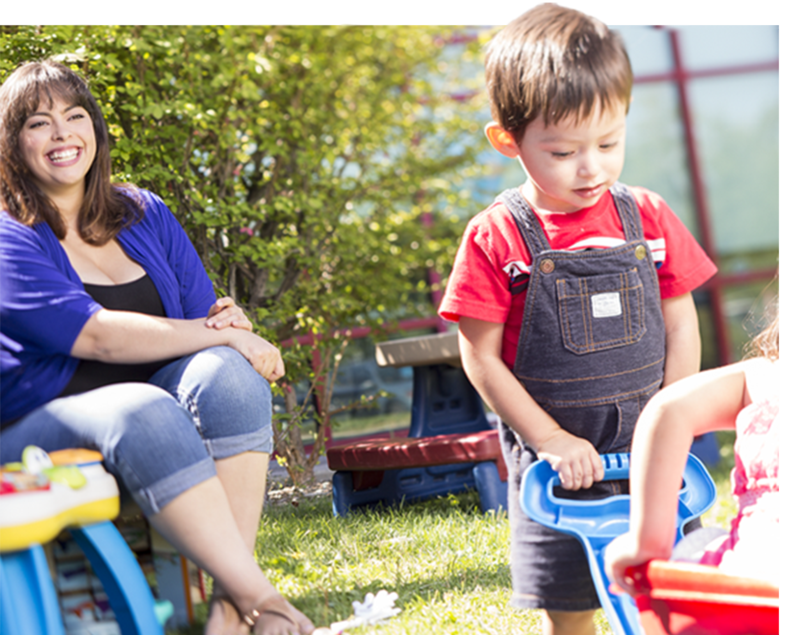 WACCS services include a diaper bank, English as a second language courses (ESL), high school equivalency courses (known as GED or HiSET), employment preparation and job search assistance, crisis intervention and free child care for women while they participate in advancement classes. However, if a women comes to us and needs a service we don’t offer, we will find a way to help her. All services are offered free of charge. While working with this community, we have learned that many women who wanted to work were unable to secure employment, despite their efforts. To address this problem, we launched Gateway to Success in 2014. This program guides women in employment preparation and job search. Gateway to Success 2, launching in Spring 2017, will guide women from basic employment to enriching careers that provide a living wage. In the eight years since we opened our doors, WACCS has touched the lives of more than 4,000 families. Since 2014, more than 110 women have graduate from our program into careers that support their families. These women continue to receive the consistent, caring support and education they need to make significant and important changes in their lives. Existing in poverty involves living day-to-day, crisis-to-crisis. Poverty — it is what you think and so much more. What crosses your mind when you think of poverty? Is it homeless people braving the weather outside in a cardboard box? Women and children living in substandard housing? Lines out the door of the local soup kitchen? The person at the end of the freeway exit asking for money? The truth is that, while prevalent, these images do not encompass the full poverty picture. Existing in poverty involves living day-to-day, crisis-to-crisis. Often this situation results from a lack of resources, including money, mentors, hope, education, support networks, and the belief that escaping poverty is possible. Other challenges include being unfamiliar with how to gain and keep employment outside of minimum wage, dead-end jobs and working multiple low-wage jobs in order to make ends meet, doing without diapers and other nonfood necessities which cannot be purchased with SNAP (Food Stamps), and barriers. Barriers are the historic “unequalizers” which prevent impoverished people from escaping poverty. WACCS stands ready on a daily basis to help women living in poverty to overcome whatever barriers are impeding their efforts to move their lives forward. Barriers often include lack of education, legal difficulties, no childcare, transportation issues, illnesses (mom and children), and inadequate family support, to name a few. WACCS offers a variety of services to help women escape poverty in order to provide a better life for themselves and their families. These include high school equivalency test preparation, English as Second Language classes, computer training, diaper bank, Gateway to Success job readiness/job placement program, Medicaid sign up site for Hopes Clinic, free clothing, toiletries, cleaning supplies and paper products, baby items, and food, as available. 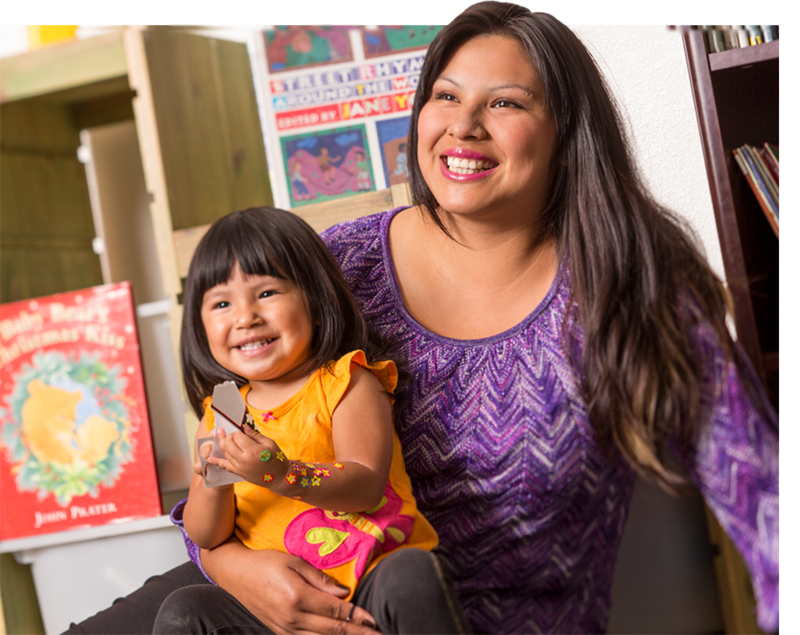 These core services are augmented by potty training classes, parenting classes in collaboration with the Washoe County School District Family Resource Center, SNAP sign-up site for the Food Bank of Northern Nevada and free children’s book distribution. WACCS provides a hand up, not a hand out for poor women. Each woman who seeks WACCS’ help brings different needs, barriers, strengths, and backgrounds that will determine what she needs to be successful. Every woman determines what she wants and needs from WACCS so that she can move her life forward. Staff is available to help as women encounter new challenges so that they have the best chance of moving forward. While the national and Nevada economies are both improving, not everyone is benefiting equally. Unemployment among single, uneducated women is disproportionately high, home foreclosures continue to plague our communities, and families continue to wait in line at emergency food pantries and sign up for SNAP (food stamps) and other benefits. According to local business publications and local employers, businesses are beginning to rehire post-recession. Many of these jobs pay minimum wages to start; however advancement and increases in pay are available for those with education. Our primary goal is to help women get and keep jobs that will enable them to leave public assistance programs and provide a better life for their families. Nevada’s children rank 46th in economic well-being. The recession exacerbated both unemployment and under-employment. Even a full-time job at low wages doesn’t necessarily lift a family out of poverty. Nevada’s children rank 46th in health. 15% of Nevada’s children do not have health insurance. Children’s health is the foundation of their overall development. Poverty, poor nutrition, lack of preventative health care, substance abuse, maternal depression and family violence put children’s health at risk. Poor health in childhood impacts other critical aspects of a child’s life such as school readiness and attendance, and can have lasting consequences on their future health and well-being. These findings underscore the importance of two-generation strategies that strengthen families’ underlying economic distress and address the well-being of both parents and children. Meet the WACCS team, the folks committed to serving women in poverty. 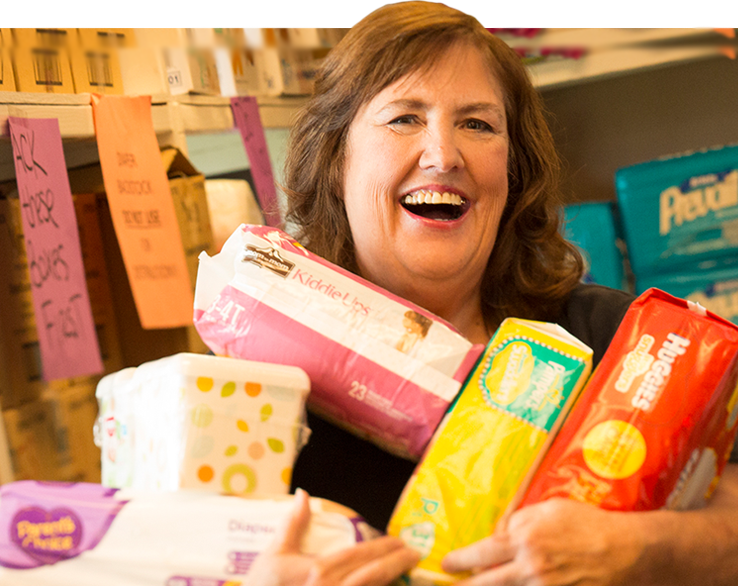 How can WACCS give away free diapers? 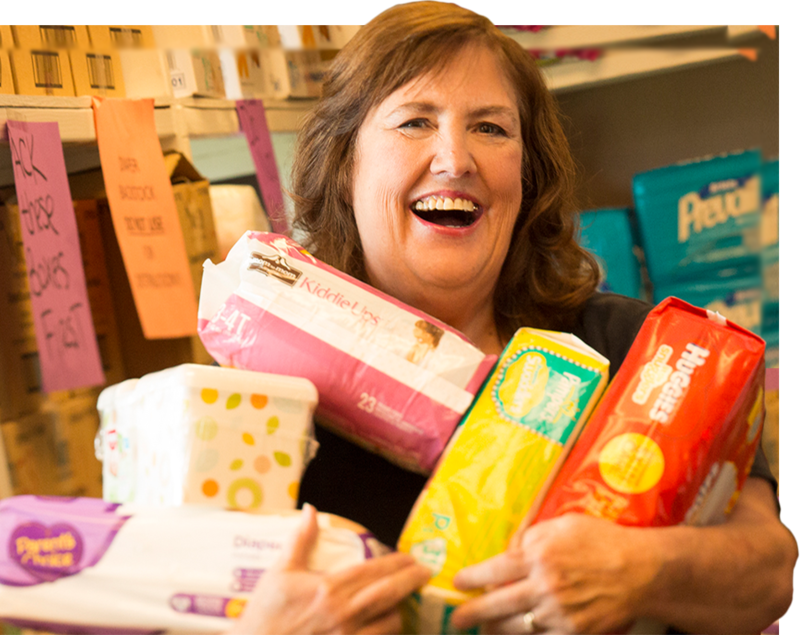 Through generous suppport from corporate donors and individuals in our community, we are able to do the work we do, including giving away free dipaers to women in need. Where does WACCS get money for their programs? WACCS operates on a shoestring budget. We get some money from foundation grants, some from corporate partners and some from individual donors. We also have a robust and committed volunteer staff that enables us to run many of our programs with few expenses.